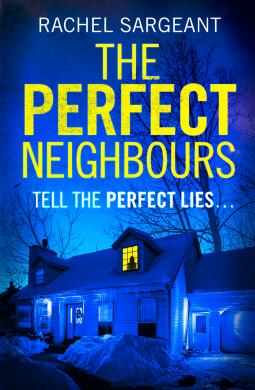 I was so excited to give this one a try, a thriller about mysterious and dangerous neighbours, what isn't to love? After all, it's what we always hear...how well do you know your neighbours?! That being said, I was also slightly hesitant that this one would be anything special, it's concept doesn't sound entirely original, and I read a lot of thrillers, so finding one which stands out is difficult. However, this definitely hooked me, and was worth a read! This book follows Helen, who finally has the opportunity to join her husband, Gary, living in Germany, after a lengthy long-distance relationship. However, when Helen arrives and is introduced to all of her neighbours, who also work with Gary, she doesn't get a good impression of them, and doesn't have much interest in being friends with them. These neighbours are a nosy bunch - they all know everything about each other, spend all of their time together and just seem to live as a pack. More so than that, each is hiding a deep secret and they will do anything to keep them hidden. My favourite parts of the story are narrated by Fiona, a student, whose chapters are italicised throughout the book. I found these chapters the most gripping and suspenseful, and found myself waiting for another to crop up. This is the first of Sargeant's books I have read, and I would definitely check out her future work. She writes well, and is able to maintain suspense throughout her book. In terms of the plot, Sargeant had a sophisticated backstory, which was intertwined through the plot - which made for a well-paced read. 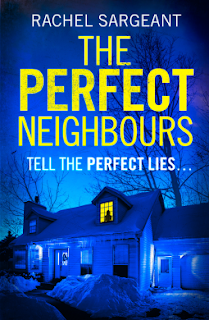 The book's plot-twists were fairly predictable, although not so much so that you have guessed them too far in advance, and thus, still keeping you interested in how the plot develops.